R. Swain & Sons Ltd based in Rochester were founded in 1918. Through five generations of Swains they have built a company which constantly seeks to provide the best possible service for general haulage, warehousing, pallet distribution, bespoke contract management and specialist abnormal loads. 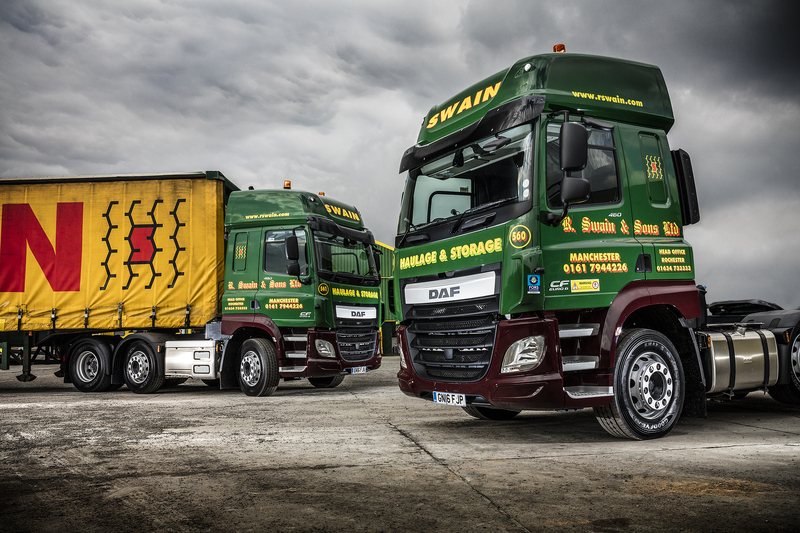 Matt Wheeler, Contract Manager explains how Swains have reduced accidents through FORS. We heard about FORS back in 2009 and we were attracted to the scheme as it would improve our standards, safety and profitability through using best practice methods, such as constantly monitored policies and procedures and data monitoring across the fleet, including fuel use, PCN’s, MPG’s and even emissions such as CO2, NOx and PM output. 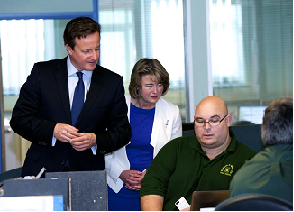 Our first bronze audit in 2012 was just for our Strood depot and we were surprised at how thorough the auditor was, especially with our basic procedures. It showed us that this accreditation was indeed a very worthwhile accolade to achieve and that we should strive on to bring it to the whole business and potentially go further through FORS to the higher accreditations, Silver and Gold. We realised once we had bronze there was no reason that we could not achieve more. We had already received many benefits from FORS such as the Performance management tools, to record PCN’s and fuel usage, driver CPC training helping us to build a team of SUD trained drivers, practitioner workshops of which so far we have three full courses completed, and even introducing us to driver licence checking companies that are FORS recommended and even came with a discount. ‘The FORS Practioner Workshops highlighted where improvements needed to be made’ Matt Sweet – Commercial Director. A presentation to all drivers explaining the need to reduce accidents, the actions planned and inviting their participation and comment. A campaign to fit 3 or 4 camera systems to include a recording device to all new vehicles, even vehicles under 3.5 tonne. Any new driver induction extended from 1 to 2 days. ‘Using FORS recommendations our accident rate had reduced by over 33% and is still falling’ Matt Wheeler – Contract Manager. The Swain Group passed their initial Bronze Assessment first time in 2012 with Silver following in 2013 and Gold in 2015. Given the VARSG initiatives the progression was natural. The FORS award provided national recognition of all our hard work providing our customers, industry and the general public with instant information regarding the level of professionalism we aim to provide. We aim to stay at Gold ensuring we continue to improve all of our standards, including health and safety, reduced vehicle accidents and a more fuel efficient, safer vehicle fleet. The number of accidents that our vehicles were involved in 2012/13 was at an average of just under 1.28 accidents (both internal and external) per employee per annum. We are now recording 0.87 a 33% reduction. Driver health and fitness review – We are currently conducting bi-annual health checks with all driving staff, with a self-declaration filled in to confirm they are fit to drive, alongside an eye test on site to ensure they can see to the legal distance specified in the Highway code. We also provide free eye tests to all the driving staff every two years, with a free pair of glasses provided by the firm. Strategy for recruiting drivers – We currently conduct Recruitment days on the weekends and employ many apprentices, where we take non-drivers and put them all the way through their car licence onto a full CE. Noise assessment – We are currently investing in a complete fleet of Euro VI engines vehicles that are not only more fuel efficient, but are also a lot quieter. We are trying to reduce early and late deliveries in urban areas in an effort to reduce our noise pollution. Modal shift and alternative vehicles – We have had a trial of an electric vehicle which was unfortunately unsuccessful, however we are constantly looking to trial new fuels and even different modes of transport. So far nothing has been suitable for the varied type of loads we currently deliver, however we keep searching. Our plans for the future include making continual fleet improvements by purchasing Euro VI vehicles, keeping our driver standards high with focused training that highlights vulnerable road users, safe and economic driving and new drivers brought into the industry by R.Swain and Sons with our FORS inspired work ethic. Achieving the gold standard has been the single biggest accreditation that R.Swain and Sons has gained and this is a reflection of taking the advice and instruction from the FORS practitioner workshops, and the FORS website. The benefits have not only been financial, they have gained us more business, especially high profile business and also improved our reputation as a company which I have no doubt would not be where it is today without FORS. We hope to go forward with continued improvement and also with the help of FORS become a safer and cleaner company.